When we think epidemics, we think infectious pathogens. However, there are other epidemics – one of them is the lead epidemic. Lead poisoning accounts for at least 0.6% of the global burden of disease (WHO, 2009). The Blacksmith Institute considers lead pollution one of the world’s worst pollution problems. In much of the Western world, the problem is almost contained. However, in countries with little regulation, there are devastating lead epidemics and, at times, lead outbreaks. Lead is a toxic, naturally occurring heavy metal found in small amounts in the earth’s crust. Because of its abundance, low cost, and physical properties, lead and lead compounds have been used in a wide variety of products such as paints, ceramics, pipes and gasoline, to name a few. According to the National Institute of Environmental Health Sciences, no amount of lead is safe. 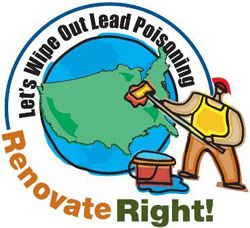 Eliminating all lead exposure in our environment is the best course of action to protect ourselves from lead toxicity. Lead affects all systems within the body. At high levels, it can cause convulsions, coma, and can even be fatal. At lower levels, it can cause adverse health effects on the central nervous system, kidneys, and blood cells. Children under the age of 6 are especially vulnerable to lead poisoning, which can severely affect mental and physical development. Children may be exposed to higher levels of lead because they are more likely to get lead dust on their hands and then put their fingers or other lead-contaminated objects into their mouths. Below are examples of epidemics and outbreaks of lead poisoning, all occurring within the last ten years. One of the most severe lead poising epidemics occurred in Kosovo, resulting in tens of fatalities. Affected people lived within 200 yards of three huge mounds of industrial waste, the byproduct of a lead smelting factory that operated from the 1920’s until 2000. Haina, in the Dominican Republic, has been considered by the United Nations one of the sites with the highest level of lead contamination in the world. The entire population is affected by lead poisoning because of its close proximity to an abandoned lead-acid battery recycling smelter. In the Dakar neighborhood of Thiaroye-Sur-Mer, Senegal, 18 children under the age of five died from acute lead poisoning. Exposure to deadly lead dust caused by the informal recycling of used car batteries caused the deaths. The most recent (last few years) and at the same time the worst outbreak occurred in Zamfara, Nigeria Over 400 children died because of exposure to lead caused by gold mining, and thousands more are now brain damaged and disabled. Watch the short video below to find out why the lead poisoning outbreak occurred. Finally, let’s not forget that lead poisoning has been called the “silent epidemic” in the US, where it affects not only low-income communities but also the middle class, as result of the remodeling of old houses painted before lead paint was banned in 1978. We mine lead concentrations from deep in the earth, make products to send all over the world, and they eventually degrade as pollution, gradually increasing the lead in the environment. Natural erosion of these deposits would have taken millions of years, yet we have exponentially increased the pace, outstripping the time needed for evolutionary adaptation to defend adequately from the toxic effects of the lead levels currently encountered. It has to be remembered that lead is an ACCUMULATIVE toxicant. Modern bones have 100 to 1000 times the lead in them than in prehistoric bones. We are all exposed to this poison, and all of us are affected adversely by this lead in our bodies. Lead has very many SUBTLE effects on many physiologic pathways in our bodies. Lead is both additive and synergistic with many other toxicants. We cannot just look at individual toxicants by themselves to understand the toxicologic effects on our bodies and minds. One characteristic of lead, is that most exposed organisms need two to four times the learning stimulus in order to realize the consequences of their actions! This is very important to understand. Think about how pervasively this harms all of us individually and society as a whole.Think about how being slower to realize the consequences of our actions affects learning and abilities in life. It is truly sad to know that lead poisoning is such a common phenomenon in developing countries. Developing countries as oppose to developed countries often lack many resources needed to obtain technology and treatments that can help prevent issues like lead poisoning from occurring. Although lead poisoning is not a prominent issue in developing countries, people living in these countries are still exposed to lead. Lead can be released into the environment from industrial processes, automobiles, and plants. In addition lead is also found in numerous products including cosmetic products, imported foods, toys and etc. Even though small amounts of lead are found in many products is it possible that synergistic effects can occur if people are exposed to these products over time? This actually does not surprise me. Locals discover a way to make money and better provide for their family which in turn, there are adverse health effects. I doubt many of the workers were aware of the lead in the rocks but i feel the companies/employers responsible should have researched it when they were searching for the gold initially. If they were aware of the dangers, there could have been better precautions to have taken; for example, not crushing rocks in a child’s backyard. Many of those deaths, ailments, and illnesses could have been prevented, if not avoided. Its sad what little regard people can have for others. I agree, living in the US has really put blinders on many of us as to what is going on in the rest of the world. Lead poisoning is just one, simple example of what is really going on and we are left completely unaware. Yet, are we truly unaware? The information is out there and all around us, yet we still say we had no clue. If media doesn’t shine a spotlight on the topic, we assume it’s not happening. Unfortunately, we are more aware of Beyonce being pregnant again than of lead poisoning still being an ongoing epidemic that kills and injures many. I also agree that greed and ignorance triumph. When it comes to money or possible health concerns, money always triumphs. Remediation will be a costly road, but so much thought and effort should not be done in the aftermath. Forethought and planning are key to successfully not harm the community and ultimately the globe. I must admit that I never realized how toxic lead was nonetheless that there is an ongoing lead epidimic! I feel that many of the times living here in the United States we are oblivious to matters such as these. I think a main reason that there is a lead epidimic around the world is the fact that lead is a low cost resource that has been found to provide many uses. Although lead may benefit those corporate companies from saving a great sum of money I don’t believe they take into consideration the communities of people around them who they are affecting. It’s so dwelling to hear about these innocent children in Nigeria who died thanks to lead poisoning and those who were left with other disabilities. What are some ways in which we can reduce the use of lead? I guess living in a country where lead poisoning isn’t a common problem, at least not recently I have been left ignorant to the fact that it is still happening in many underdeveloped countries. It’s so sad to hear about all the deaths, especially those of young children. Obviously the only way to rid this lead poisoning epidemic is to eliminate lead in our environment altogether. It will be a long a pricey process but it has to be done. It’s also important to provide proper medical attention to those already poisoned, especially the children. Lead really is a silent killer. I have always known that lead is a serious poison and that it is used in many common items, including paint. I did not, however, know that lead poisoning is a major environmental issue in other parts of the world, creating health issues in both children and adults. It’s unfortunate to see cases like the blind baby included in the video. From the person who posted above, I am happy to see that doctors are beginning treatment for those affected by lead poisoning. On top of treating cases, regulations should also be set up in these regions to control lead outbreaks and reduce the risks of lead poisoning. I always knew there were major problems going around the world but this site has shown me specifics and truly opened up my eyes with what’s going on in the world. That poor baby is blind because of this lead poisoning and this will affect her for the rest of her life. This article: http://www.newsdaily.com/africa/63e1d9888ce239883eb865d8fae51f58/nigeria-lead-poisoning-treatment-finally-starts states that Doctors Without Borders (MSF) said that finally Tuesday they had begun treating children exposed to lead poisoning and started the remediation . I’m glad they’re finally treating the areas that was contaminated with lead poisoning so other children don’t get affected in the long run. It makes you think if this going on in one country in Africa, there could be a lot going on in other countries as well.